Whether you want to cheer on your favorite Power Wheels Racing car, meet the stars of the BattleBots television show, learn about fashion that combine the latest in science and technology, or solder along with your kids, you’ll find there will be something for everyone when Maker Faire Miami returns to South Florida April 6-7. Think of Maker Faire Miami as a giant science fair of tomorrow, says Mario Cruz, a Maker himself who is organizing the event. 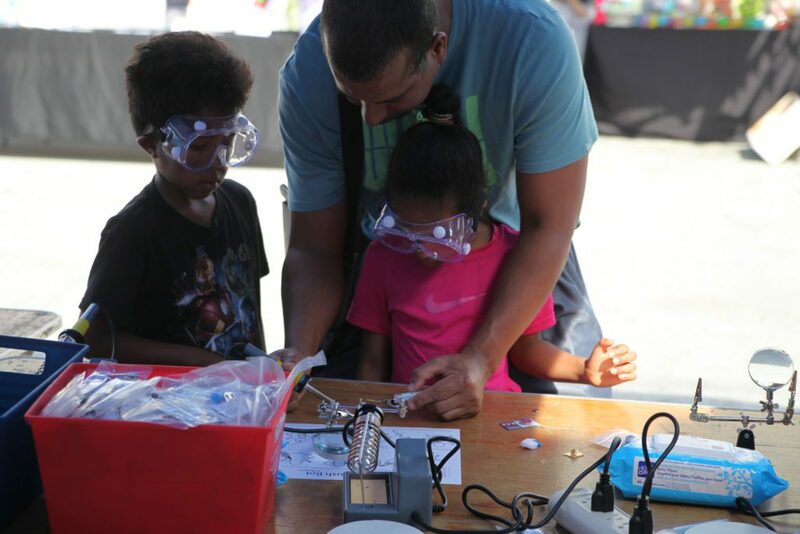 Miami Dade College, in partnership with MANO Americas and in association with The John S. and James L. Knight Foundation and Maker Media, will host Maker Faire Miami at MDC’s Wolfson Campus in downtown Miami. The annual family-friendly weekend event will feature fun inventions and interactive exhibits by scores of local organizations in science, engineering, art, performance and craft. Miami’s tech and startup community will be well represented. A sampling of the companies and organizations that will have booths: Matrix Labs, Addigy, Prototype House, Wyncode Academy, Moonlighter Makerspace, HackShack, Miami EdTech, Watsco, SunVessel, MDC’s Idea Center and FIU’s Hardware Lab, among others. Maker Faire Miami celebrates the global Maker Movement, accelerated by the launch of Make: Magazine in 2005 and its first Maker Faire in 2006 in Silicon Valley. 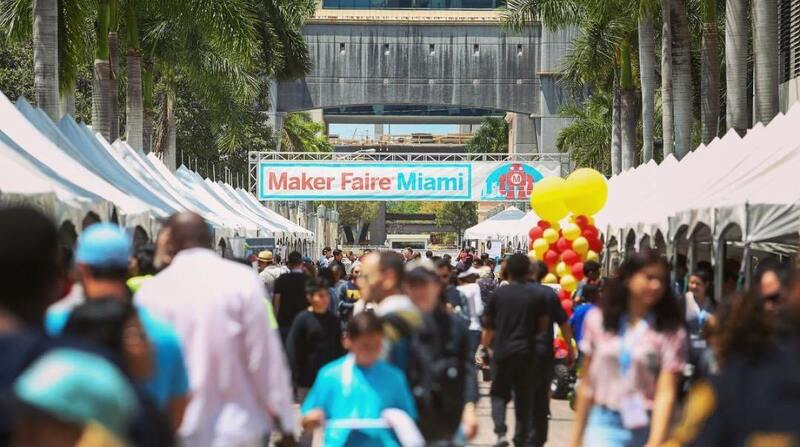 The original Miami “Mini” Maker Faire was held in 2013 at The LAB Miami and now Maker Faire Miami is part of an elite band of 44 featured cities around the world hosting the larger-scale Featured Maker Faires in 2019, including San Mateo, Rome, Paris, Tokyo, Atlanta, New York and Shenzhen. 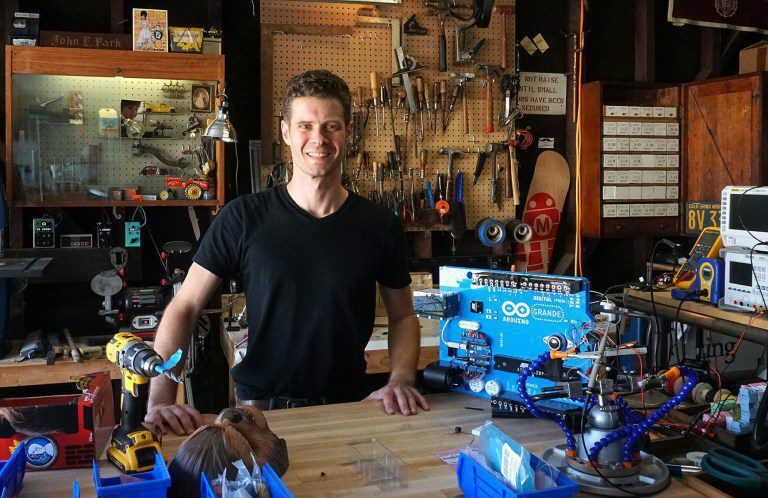 Learn from the very best, because Maker Faire Miami is flying them in as speakers. 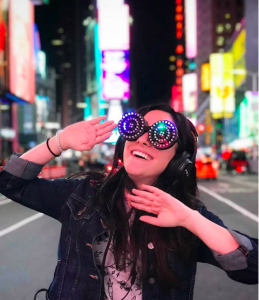 Visitors will have a chance to meet YouTube stars John Park and Estefannie Explains it All, who believe anyone can be a maker and you need to break things to make things. You can learn from Mohit Bhoite all about making circuit sculptures, which requires him to use a different side of his engineering brain. Meet the Witch Doctor, Hypersock and Rotator from the popular BattleBots television show. Check out the full schedule HERE. Ready, set, go: During Power Wheels Racing, attendees will see five themed battery-powered cars compete in real races during the Faire. “It’s so exciting when you see people take what is basically a toy and make it go 25 miles an hour. They are building a mini-Tesla inside a toy car. One looks like a Star Trek ship, and these are all professional Makers” said Cruz. Next year, Maker Faire Miami will be a circuit site for Power Wheels Racing, so show your enthusiasm by cheering these cars on during their premier exhibition races. Speaking of kids, Little Makers will be everywhere. Among them you can meet 11-year old Abby. 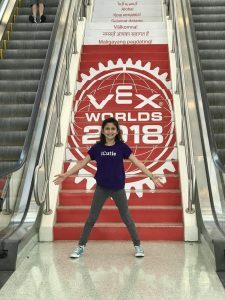 She started her project, VEX iCutie, when she noticed there were not enough girls participating in robotics. At the Faire, she’ll explain how robotics is girl-powered. The brother and sister team behind Kid Kreative – Alejandro and Gaby –and their elementary and middle school friends will show off what they love to create, from slimy concoctions to resin masterpieces, and show you how you can make your own. And a half dozen middle and high schools will have booths this year; Coral Park Senior High will be bringing all its Robots. The Girl Scouts will be showing their STEM projects. Come celebrate the Maker movement this weekend. TICKETS: A multi-day ticket is $20; children 6016 are $10 and children 5 and younger are free. One-day tickets are $15, youth tickets are $7.50 for youth and free for children 5 and younger. Buy them here or at the door.